Aquatic scene in Spring in Split, Croatia. When we visited Split in September, we walked down along this pebbly beach to find this beautiful scene. The orange colour in the buildings is high-lighted by the beautiful strong blue colour in the boat on the foreshore and the deep blue colour of the sea. 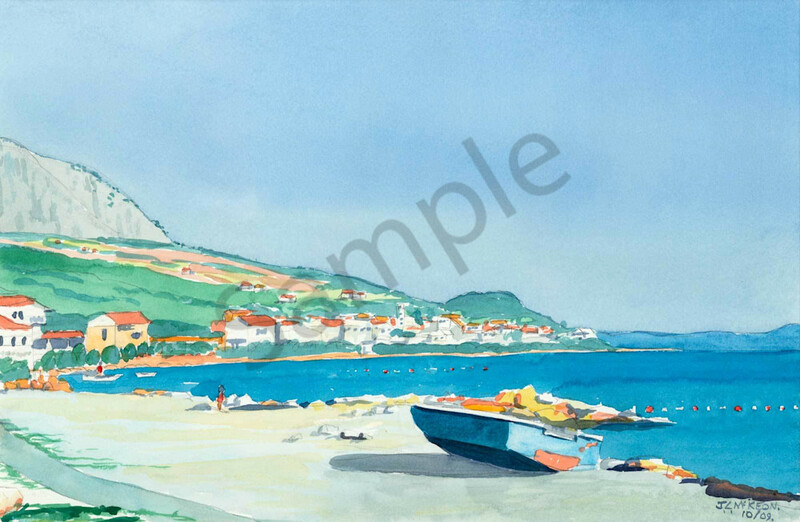 The clear, cool sky enhances all the other colours in this simple maritime scene.